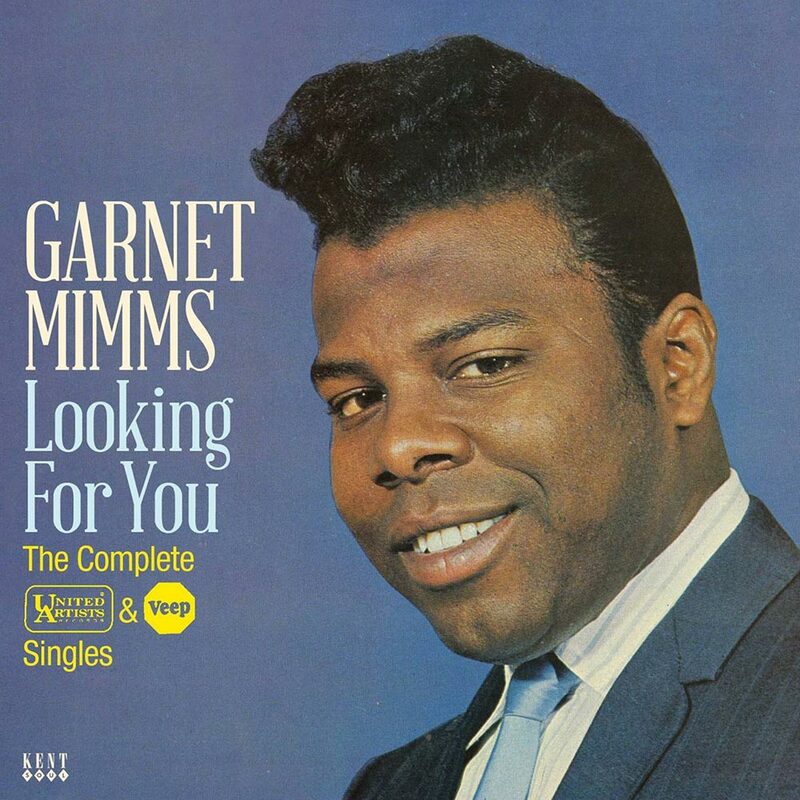 GARNET MIMMS-LOOKING FOR YOU-THE COMPLETE UNITED ARTISTS AND VEEP SINGLES. The Garnet Mimms story began in November 1933, in Ashton, West Virginia. That’s where he was born and spent his early years. It’s also where his love of music began. From an early age, Garnett’s mother took him to church. Like many future soul singers, this was Garnet Mimms’ first exposure to music. He was hooked. By the early fifties, Garnet Mimms decided to move to Philly, where he joined his first gospel group. In Philly, Garnett’s nascent career as a gosepl singer began. He joined his first gospel group. Soon, Garnett was a member of some of Philly’s top gospel groups, including The Norfolk Four and The Evening Star Quartet. It was with The Evening Star Quartet that Garnett made his recording debut. However, Garnett was never going to get rich singing gospel. By day, Garnett worked in the Temple Laundry. As he worked, Garnett listened to Jackie Wilson and Sam Cooke on the radio. Soon, they began in influence and inspire Garnett Mimms. This lead to Garnett forming his first R&B group. By then, Garnett was serving with the U.S. Army. This was only a temporary measure. Garnett knew how he wanted to make a living, singing R&B. So, Garnett formed his first R&B group, The Deltones. Having done so, Garnett knew that once he finished his tour of duty, his days of working in a laundry would be behind him. In 1958, Garnett left the U.S. Army, and straight away, formed a new group, The Gainors with Sam Bell from The Evening Star Quartet, and another future soul star, Howard Tate. Soon, the group found a manager in Irv Nathan. He signed them to his Red Top label. With The Gainors signed to the Red Top label, they entered the studio for the first time. Their debut single was Gonna Rock Tonight. On its release, it gave The Gainors their first hit single. It was then picked up by Cameo Parkway. So were were The Gainors next six singles. Between 1960 and 1963, The Gainors released another six singles. They were picked up by labels like Mercury, Cameo Parkway and Talley-Ho. However, by 1963 The Gainors were no more. After releasing the Van McCoy penned Tell Him, Garnett and Sam Bell disbanded The Gainors. 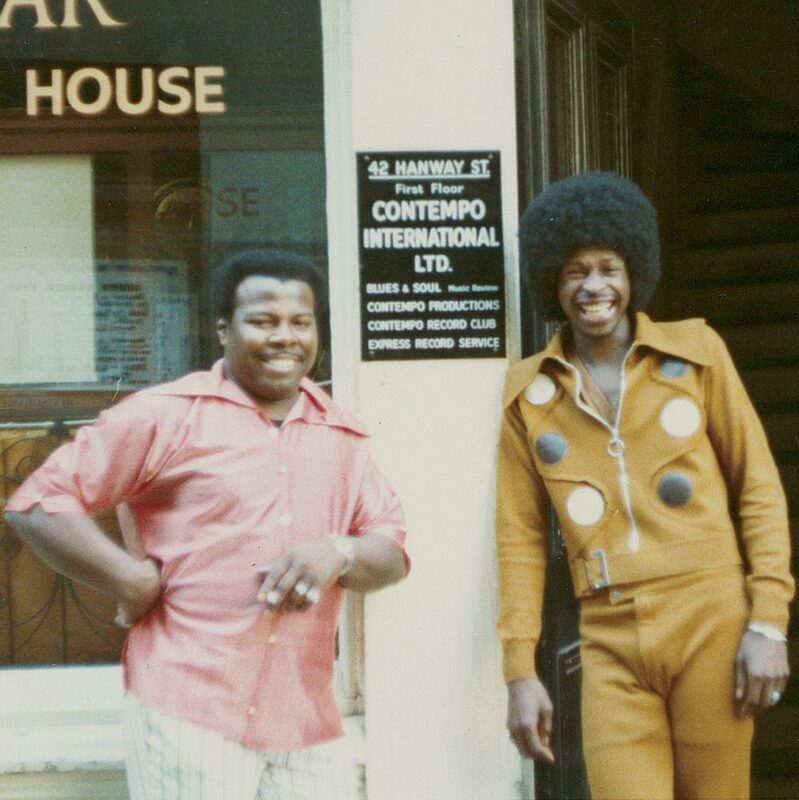 Garnett and Sam Bell decided to form a new band, which would be billed as Garnett Mimms and The Enchanters. So, they brought Charles Boyer onboard. They knew Charles from their gospel days. He was joined by Zola Pearnell, who was the final piece in this musical jigsaw. With the final piece in place, they started rehearsing. Their rehearsals paid off. 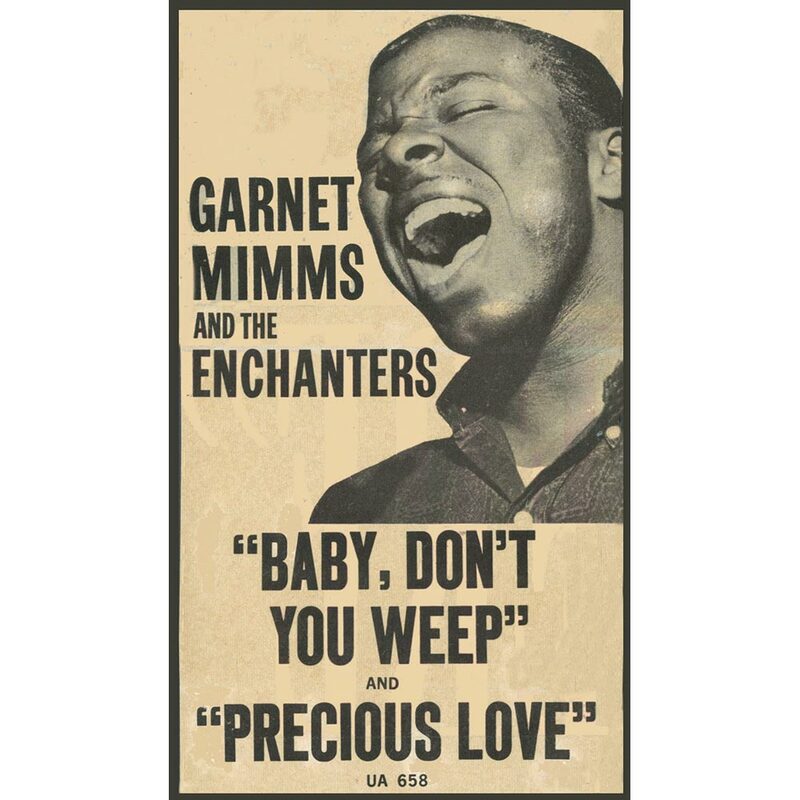 Soon, Garnett Mimms and The Enchanters were auditioning for songwriter and producer, Jerry Ragavoy. 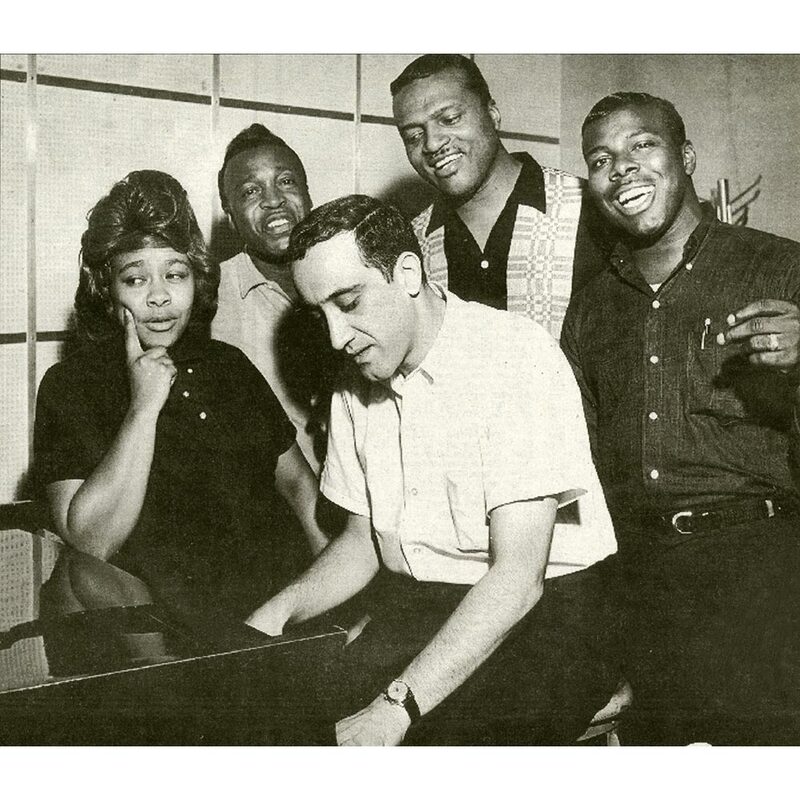 Sam Bell knew Jerry, and asked him along to a club to see Garnett Mimms and The Enchanters, whose music is documented on Kent Soul’s Garnett Mimms’ compilation Looking For You-The Complete United Artists and Veep Singles, which was recently released by Ace Records. Jerry Ragavoy was based in Philly. However, he was about to move to New York, where he had formed a songwriting partnership with Bert Sterns. However, Jerry found time to go to the club. Straight away, he liked what he saw. Garnett Mimms was a charismatic and talented frontman. It was obvious Garnett was going places. However, Garnett Mimms and The Enchanters came as a package. They also worked well together. The Enchanters were the perfect foil for Garnett. There was no need for Garnett Mimms and The Enchanters to do a hard sell. Quite the opposite. They were holding all the aces. It wouldn’t be long before Garnett Mimms and The Enchanters had record companies beating a path to their door. So, Jerry had to act quickly. Luckily, Jerry and Bert Sterns had just finished a new song, Cry Baby. It was one of the first songs Jerry and Bert cowrote, using the nom de plumes Norman Meade and Bert Russell. Once it was finished, Jerry phoned Garnett and asked Garnett if he would like to record Cry Baby? The answer was a resounding yes. So, studio time was booked. Jerry also booked his favoured session players, including drummer Gary Chester, guitarist Eric Gale and keyboardist Paul Griffin. Everything was in place for Garnett Mimms and The Enchanters to make their recording debut. With everything in place, Garnett Mimms and The Enchanters arrived in the Big Apple. They made their way to the studio, and recording got underway. Two tracks were due to be recorded, Cry Baby and the B-Side Don’t Change Your Heart. It was penned by Sam Bell. Soon, arnett Mimms and The Enchanters were taking care of business. Garnett delivered a cathartic, soul baring vocal. It was as if he was unburdening himself of hurt and heartbreak. Jerry was spellbound. Everyone in the gallery held their breath. Little did they know a number one single had just been recorded. All Jerry needed was label to release Cry Baby. Having recorded Cry Baby, Jerry set about finding a label willing to release Garnett Mimms and The Enchanters’ debut single. There was a problem. It was unlike any soul single that been released before. Stylistically, this was very different. So, any label willing to release Cry Baby, were taking a leap of faith. Time and time again, labels turned Jerry down. Eventually, he tried United Artists. He wasn’t holding out much hope. However, they were willing to take a chance on Garnett Mimms and The Enchanters’ debut single Cry Baby. They would be richly rewarded for doing so. When Cry Baby was released in August 1963, it began its slow climb up the charts. Eventually, in October 1963, Cry Baby reached number four in the U.S. Billboard 100 and number one in the U.S. R&B charts. For Garnett Mimms and The Enchanters, it was a storybook start to their nascent career. Would it last? The followup to Cry Baby was meant to be Jerry Ragavoy’s Baby Don’t You Weep. On the flip side was For Your Precious Love, which was written by Arthur and Richard Brooks with Jerry Butler. On its release Baby Don’t You Weep reached number thirty on the US Billboard 100 and number eleven on the US Cashbox charts. However, some DJs started playing the B-Side, For Your Precious Love. Soon, it was climbing the charts, reaching number twenty-six in the US Billboard 100 charts and number nine on the US Cashbox charts. This meant Garnett Mimms and The Enchanters’ had scored two hit singles at the same time. It seemed nothing could go wrong for the Philly quartet. Given the success of Garnett Mimms and The Enchanters, they released their debut album Cry Baby and 11 Other Hits. This was a case of all that glitters isn’t gold. The Enchanters only sung on three of the tracks. Providing the harmonies were the future Sweet Inspirations. However, soon, Garnett Mimms and The Enchanters were back with their third single, Tell Me Baby. 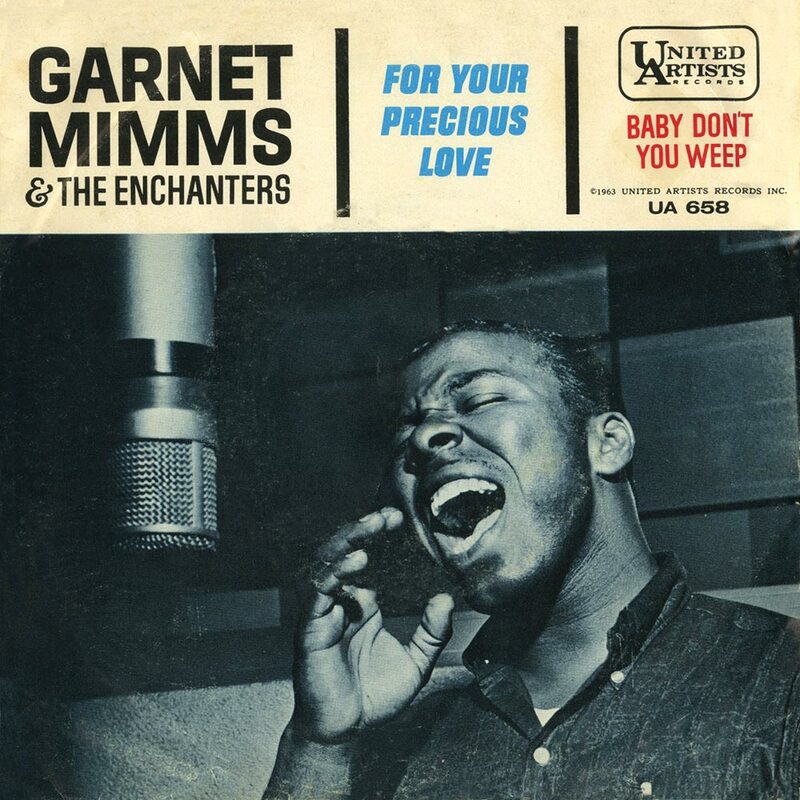 Having enjoyed three consecutive hit singles, Garnett Mimms and The Enchanters were on a roll. Their fans hungrily awaited their next single. They were in for a shock. Tell Me Baby, a Bob Halley and Carl Spencer penned track was released as Garnett Mimms’ debut solo single. With Anytime You Want Me on the flip side, Tell Me Baby, a Jerry Ragavoy production, was released in 1964. It was quite different from previous releases. Soul and gospel combine, harmonies and handclaps encourage Garnett to greater heights of soulfulness. This stylistic change didn’t prove as popular with record buyers, reaching number sixty-nine in the US Billboard 100 and number sixteen in the US R&B charts. While this was disappointing for Garnett, he hoped it was just a blip. Three months passed before Garnett returned with his next single, a beautiful, heartfelt ballad, One Girl. The flip side, A Quiet Place, was a track from Garnett Mimms and The Enchanters’ Cry Baby album. However, the addition of The Enchanters didn’t result in a change of fortune. One Girl stalled at number sixty-eight in the US Billboard 100 and number thirty-one in the US R&B charts. Despite the undeniable beauty and quality of One Girl, Garnett seemed unable to replicate the success he had enjoyed with The Enchanters. Just a month after One Girl disappeared from the charts, A Quiet Place, entered the charts. The B-Side of One Girl reached number seventy-eight in the US Billboard 100 and number twenty-five in the US R&B charts. History was repeating itself. The same had happened with Baby Don’t You Weep and Your Precious Love, the second single released by Garnett Mimms and The Enchanters. This proved ironic, as Garnett Mimms and The Enchanters had just gone their separate ways. After that, The Enchanters signed to Warner Bros. and released a quartet of singles on their Loma imprint. Garnett, meanwhile, continued with his solo career. Later in 1964, Garnett released his debut album, As Long As I Have You. The uptempo, driving title track looked destined to be a single. That wasn’t to be. As Long As I Have You was only ever released as a single in France, and is now a real rarity. However, it features on Looking For You-The Complete United Artists and Veep Singles, and is a welcome addition. So, is One Woman Man, Garnett’s next single. One Woman Man was a released as a single later in 1964, with Look Away on the flip side. It’s one of Garnett’s finest singles. His vocal veers between emotive, hopeful, joyous and needy. It could’ve and should’ve gotten Garnett’s career back on track. Sadly, it was a case of close, but no cigar. On its release, One Man Man reached number seventy-five in the US Billboard 100 and number fourteen in the US R&B charts. So, in an attempt to kickstart Garnett’s career, it was decided he should cover the Bert Berns’ penned A Little Bit Of Soap. Four years earlier, A Little Bit Of Soap gave The Jarmels a hit single. That, however, was another, more innocent musical age. In the four intervening years, music had changed. Despite this, Garnett stayed true to The Jarmels’ original. He didn’t try to reinvent the wheel. For many A Little Bit Of Soap was the wrong choice of single. The B-Side, Jerry Ragavoy and Ben Raleigh’s I’ll Make It Up To You, was a better choice given the change in musical tastes. That wasn’t to be. On its release in January 1965, A Little Bit Of Soap spent a week in the US Billboard 100, peaking at number ninety-five. For Garnett, this was a huge disappointment. It Was Easier To Hurt Her failed to chart, is a hidden gem in Garrett Mimms’ back-catalogue. However, it isn’t the only one. Welcome Home, which was written by Chip Taylor, was chosen as Garnett’s next single. Everytime, another Jerry Ragavoy and Ben Raleigh composition was chosen as the B-Side. There was a problem though. As Garnett entered the studio with Jerry Ragavoy, so was Walter Jackson. He was in the studio with producer Carl Davis. Their version shipped first, and hit the charts. Garnett’s version, which is a beautiful, wistful ballad was withdrawn. It seemed Garnett was all out of luck. After the disappointment of Welcome Home, Garnett released That Goes To Show You as a single. Everytime featured on the B-Side. Sadly, there was no Welcome Home for Garnett, when That Goes To Show You failed to chart. Neither did the soulful dance track, Looking For You. It was coupled with More Than A Miracle, but failed to chart. Given that Looking For You was one of Garnett’s best recordings, he must have wondered where his next hit was coming from? Little did he know that as 1966 dawned, his luck was about to change. I’ll Take Good Care Of You was another Bert Sterns and Jerry Ragavoy song. Prove To Me, which Jerry wrote with Ed Marshall was chosen as the B-Side. When I’ll Take Good Care Of You was released in January 1966, it reached number thirty in the US Billboard 100 and number fifteen in the US Billboard charts. The success of I’ll Take Good Care Of You, would result In Garnett releasing the third album of his career, I’ll Take Good Care Of You. Garnett Mimms it seemed, was back. Although Garnett Mimms was back, United Artists decided to move him to their newly formed Veep R&B imprint. His Veep debut was It’s Been Such A Long Way Home. It saw Garnett swagger his way through this Jerry Ragavoy and Mort Shuman track. Jerry also cowrote the flip side Thinkin’ with Chip Taylor. It’s a string laden ballad, where Garnett lays bare his soul. Just like It’s Been Such A Long Way Home, Thinkin’ oozed quality. Despite this, the single failed to chart. Garnett’s Veep debut had flopped. So did the followup My Baby, another track from the pen of Jerry Ragavoy and Mort Shuman. On the B-Side was a Garnett Mimms’ composition Keep On Smilin.’ My Baby was one Garnett’s finest recordings. However, with its unusual time signature and deep soul sound, it was very different from other soul singles. As a result My Baby failed to chart. Time was running out for Garnett Mimms. After returning from a British tour, Garnett’s next single Only Your Love was cancelled before it was even pressed. All About Love, with The Truth Hurts on the B-Side was chosen as Garnett’s next single. When All About Love failed to chart. It proved to Garnett Mimms United Artists/Veep swan-song. When United Artists UK released Roll With The Punches, back hime, United Artists passed on the chance to release the single. It was the end of the road for Garnett Mimms. His time at United Artists was over. He had enjoyed nine hit singles between 1963 and 1966. However, it could’ve and should’ve been more. Sadly, many of the singles Garnett Mimms released failed to chart. That’s despite their undeniable quality. Whether it was ballads or dancers, Garnett Mimms breathed life and meaning into each and every one of these tracks. They’re documented on Kent Soul’s Garnett Mimms’ compilation Looking For You-The Complete United Artists and Veep Singles, which was recently released by Ace Records. 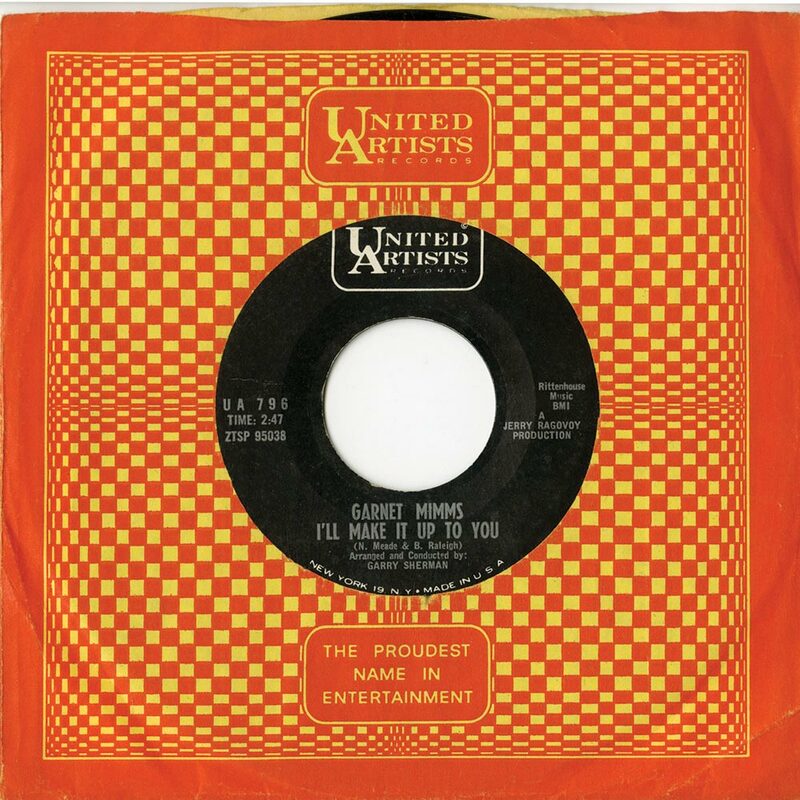 Looking For You-The Complete United Artists and Veep Singles is a reminder of Garnett Mimms, one of the most talented soul men of sixties, at the peak of his soulful powers. ← DION RECORDED LIVE AT THE BITTER END AUGUST 1971.